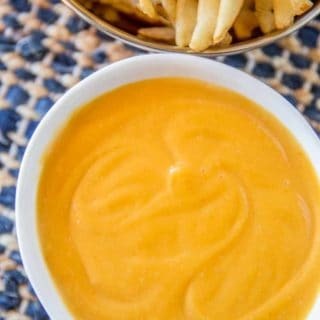 Chick-fil-A Sauce is an easy dipping sauce is slightly smoky with a hint of honey mustard that is perfect for dipping waffle fries, nuggets and more. Mix all the ingredients in a bowl and refrigerate for 30 minutes to allow flavors to come together. If your sauce doesn’t have that hint of smoke (in case your bbq sauce is sweeter rather than smoky) use a splash of liquid smoke.